Hello beautiful ladies and dapper gentlemen! I hope you're having a nice week so far. I think I'm adjusting to this hot weather, and my "nail polish room" is finally coming together, so mine is going fairly well! Before adding any colour, I used a new base coat I haven't really tried before, but have already decided will be my go-to as the base for French tip designs, or any where bare nail is showing. It is Sally Hansen Hard as Wraps. I don't normally use base coats labelled as 'hardeners'--I have strong enough nails thanks to biotin!--opting instead for Seche Retain or other ones that focus on holding in moisture for strong yet flexible nails. However, this one is great for occasional use, for me personally at least. The consistency is a bit thicker than regular polish, kind of halfway between a polish and a gel, but it dries quickly and SO shiny and 'juicy'. 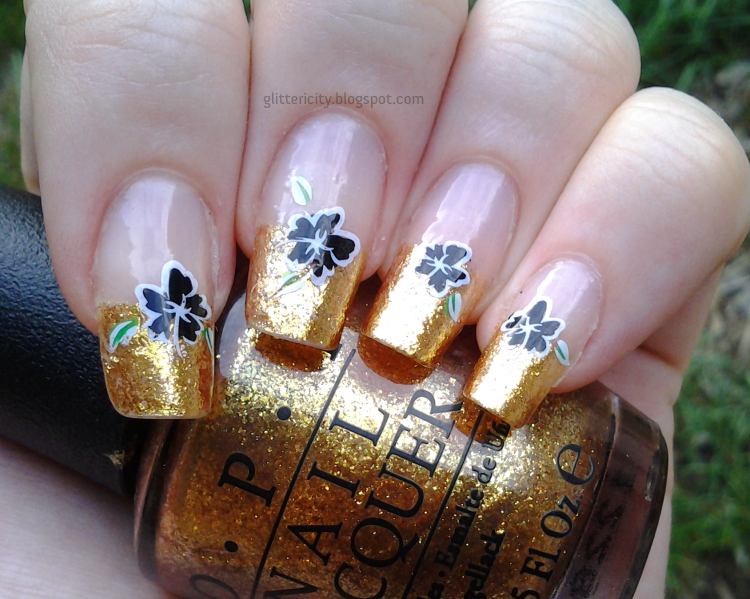 I then used two coats of my favourite ever gold polish, OPI Goldeneye, for the tips. Can't say enough about this polish. B-E-A-youtiful! I am in love with this method already. I can't believe I never really played with it before. It's such an easy way to get a gorgeous and personalised decal, and to use multiple colours with a stamped image. 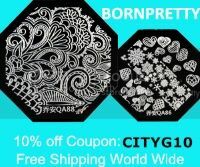 You can also freehand your own patterns with a brush or dotting tool, and you can even pre-make them in advance so they are dried and ready when you decide to change your manicure! And one more. 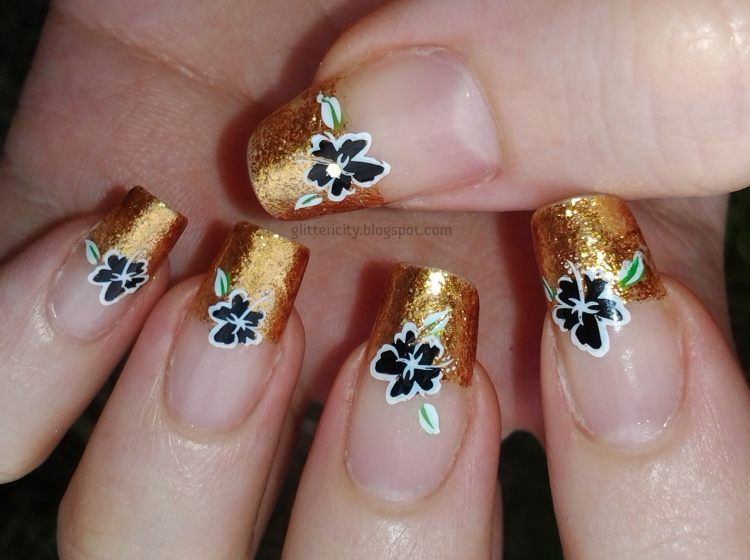 I added a single gold glitter from Born Pretty Store over the centre of the flower on the thumbnail, but decided I didn't really like it, so didn't carry it over to the rest. Stunning! So So Sooooo pretty!